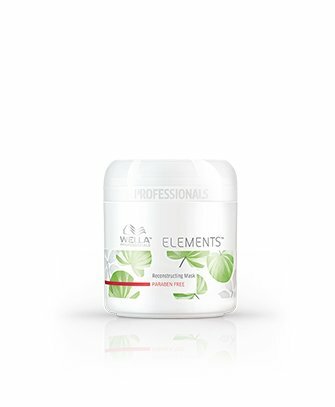 Wella Elements Reconstructing Mask 5.07 Oz. - Luxury Beauty Care Products ! Wella Elements Reconstructing Mask 5.07 Oz. Paraben free repairing mask that intensively restores and preserves the natural inner structure and strength of the hair. Extra lightweight cream.Wella Elements Reconstructing Mask 5.07 Oz.